We’re not quite all the way into racing season yet, but we keep easing that way. 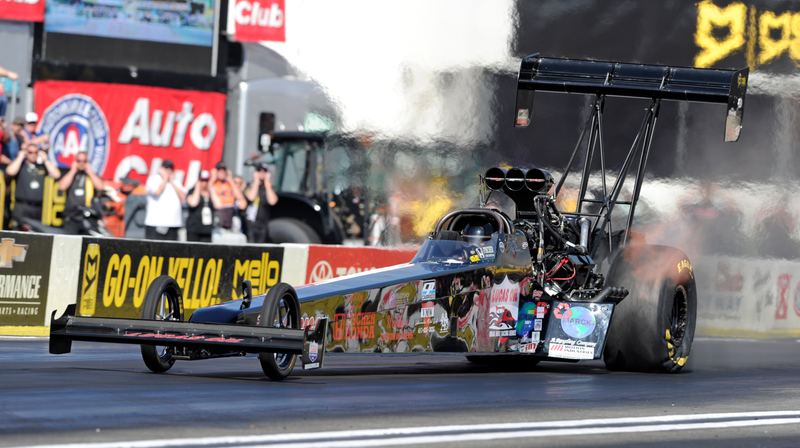 This weekend, drag racing is back with the Circle K NHRA Winternationals in California. NHRA will be at Auto Club Raceway on Saturday and Sunday, and since the season is just starting, there’s nothing to catch you all up on! Have some fun. Watch some fast dragsters. Added after the original posting of this schedule is the second annual Icebreaker at Myrtle Beach Speedway, which will feature NASCAR Whelen All-American Series Late Models, Tour Type Modifieds, Chargers, Mini Stocks and vintage racing. The broadcast is free on FansChoice.tv. Other than that, Supercross is back again this weekend for its event in Texas. Defending champion Ryan Dungey is still atop the points standings after taking the top spot from the injured Ken Roczen, who had an ugly crash a few weeks ago in Anaheim. Roczen had his seventh surgery over the week, and it sounds like he has a long recovery ahead. Delayed showings include some action from the Lucas Oil Late Model Dirt Series, AMSOIL Arenacross, the FIA World Rally Championship, Lucas Oil Off-Road Racing Series and Monster Jam. There’s also a bit of coverage from the Continental Tire SportsCar Challenge at Daytona International Speedway, as well as some stuff from King of the Hammers in California.